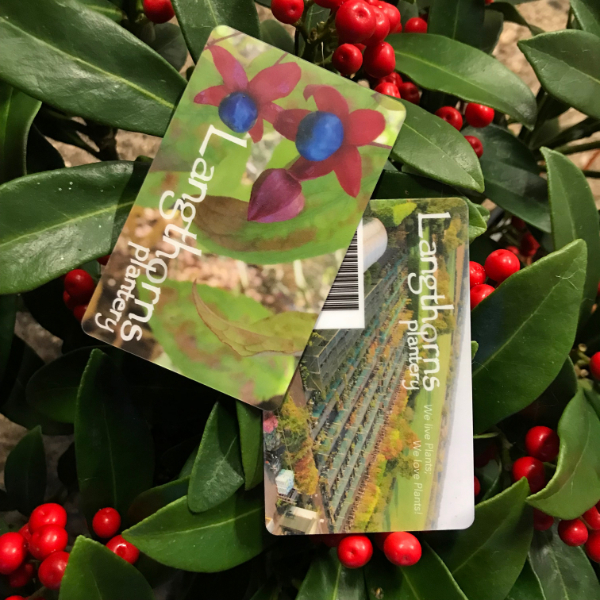 The Langthorns Loyalty Card scheme was introduced in the summer of 2016 and has been a roaring success. As well as on-site special offers on seasonal plants every month, loyal customers have a chance to obtain a discount on plants for 12 months based upon their spending. This year we have changed the terms of our scheme to benefit you even more. A discount for 12 months can now be obtained by spending just £250 within a year. This entitles you to 2.5% off all plant purchases for 12 months. The more you spend, the larger a discount you can receive, all the way up to 10%. So why not come and see us, sign up to the scheme and take advantage of all the offers available to you. By ticking the box you agree to be contacted with our loyalty card offers.